KLH Catches Ride on Final NASA Shuttle | KLH Industries Inc. 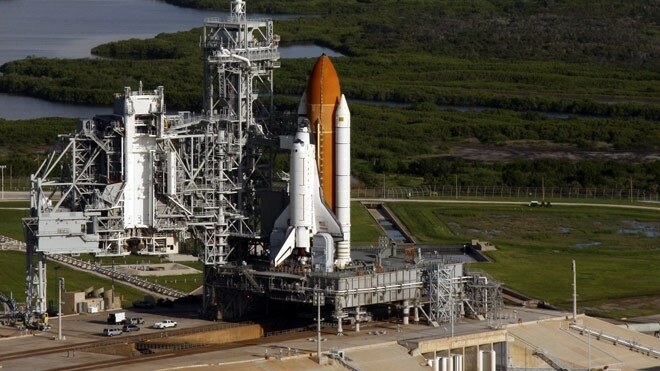 If you happened to see the launch of space shuttle STS-135, NASA's final space mission, there was one thing you couldn't see from the ground or television - the KLH-made part inside the shuttle. KLH's contribution to the International Space Station was a group of complex CNC machined parts, made of an exotic aerospace material. KLH honors all non-disclosure agreements, and therefore cannot divulge any pictures or descriptions of the hardware component. However, it's certainly not something you can pickup at the hardware store. Shuttle STS-135 landed safely on July 21st, finishing the 30-year, 135-flight Space Shuttle Program.